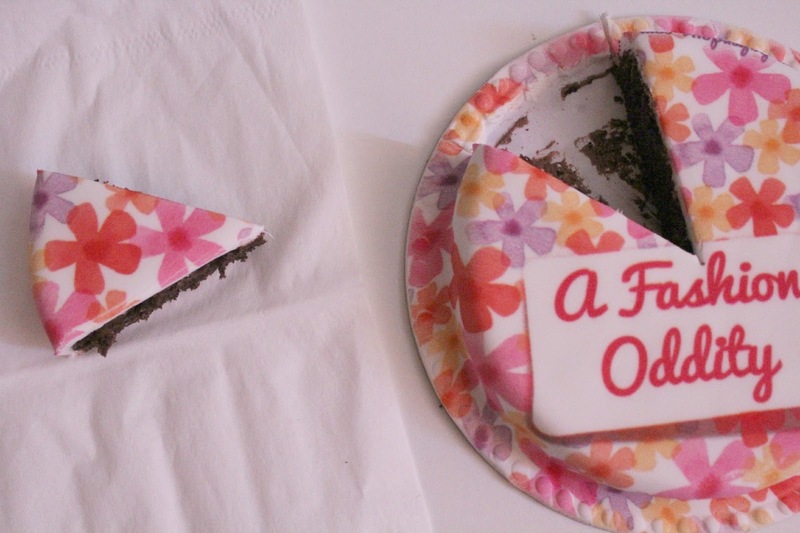 A Fashion Oddity: A Fashion Oddity turns two + Bakerdays review - lifestyle post! 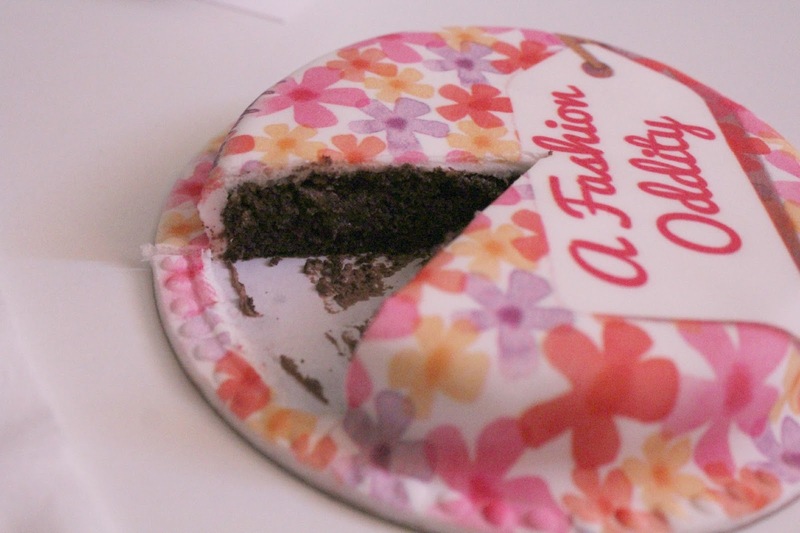 A Fashion Oddity turns two + Bakerdays review - lifestyle post! Saturday marked two years since my first blog post (which you can view here). So to help me celebrate the guys at Bakerdays.com kindly sent me a cake to mark A Fashion Oddity's birthday. Baker days is an amazing and unique on-line service that allows you to personalise and design your own cake that is small enough to be delivered through your letterbox, genius right? It comes in a very small box along with a note card, left-let, bag of candles, balloons and party poppers then a tin with your cake securely packaged. I choose this pretty floral design in pinks, purples and yellows that has a gift label on I personalised it with A Fashion Oddity. It looks amazing, I am so happy with the design and it's pretty cool seeing my blog name on a cake. They offer a variety of cake flavours including fruit and gluten free but of course I had to go with chocolate. I have to be honest the sponge was a little dry for my liking but was still really nice. the chocolate sponge is quite different as my dad who is a massive chocolate over hated it, comparing it to the taste of brownies which he doesn't like. I know exactly what he mean but personally it still tasted amazing. You will all be shocked with me but I am not a big fan of fondant icing, I much prefer butter cream or cream cheese icing however aside from the usual fondant texture which I hate this icing tasted amazing. The cake arrived within two days of me placing my order, which is amazing compared to other personalised cake services that usually need at least 7 days notice. So I'd really recommend Bakerdays.com for any occasion or to treat someone as you could get it delivered to someone else's address. It was an amazing way to celebrate two years of blogging. They have kindly given one of you guys the chance to win a personalised cake too. Unfortunately this giveaway is only for U.K and Ireland residents. The last year has flown by, it doesn't feel like a year since I lasted celebrated a 'blog birthday'. It wasn't until a month after then I reached 100 followers on bloglovin which felt amazing, as I am writing this I just hit 500 (might be another giveaway coming soon for hitting 500 followers let me know what you'd like to see in it) that shows just how much as happened in a year. 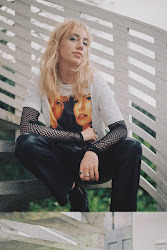 This year I got my domain so I changed over from afashionoddity.blogspot.co.uk to afashionoddity.co.uk whihc has felt amazing, I also got my new web design back in January time. I haven't posted as much as I'd liked but my photography has improved and the outfit posts I have put out I have been so proud off. My last exam is in two weeks so then over the summer I plan to treat blogging as a full time thing and take it to a more professional level. To look back on the last two years of A Fashion Oddity. Here is my most popular post (My inner mermaid) and a few of my favourites. Autumn in my town from Nov 2013 , A paisley skirt on a rainy day Aug 2014, The last day of summer Sep 2013, Cool Tones style post Jan 2015, and An unlikely style icon Feb 2015. Starting this blog has been one of the best decision I've made. I have learnt so much, made so many friends and had so much fun on photoshoots or at blogger events like Lush Christmas range release or Coffee with Curry's. I am so grateful to everyone who reads this otherwise I probably would've given up at the start and for all the opportunities I have been given due to my blog. I hope you have enjoyed reading A Fashion Oddity as much as I have loved writing it. Happy 2nd blogiversary! The cake looks amazing! Two weeks belatedly, Happy 2nd Blog Anniversary!!! Your A Fashion Oddity blogiversary cake from Baker Days looks pretty and yummy - I love the colours of the floral icing decoration, and it's nice that the package included candles balloons and party poppers. Best of luck with your last exam and with your blogging thereafter. happy 2nd blog anniversary fab achievemnet!! !